Sacrilege and on a Sunday. Discussion in 'Detailing' started by brucemillar, Sep 16, 2018. Sorry folks. In a moment of sheer lunacy, I promised my beautiful wife, that were I to feel better this weekend and not lose any more weight . I would give her BMW a good clean and polish all over. But you know what? I love this car. 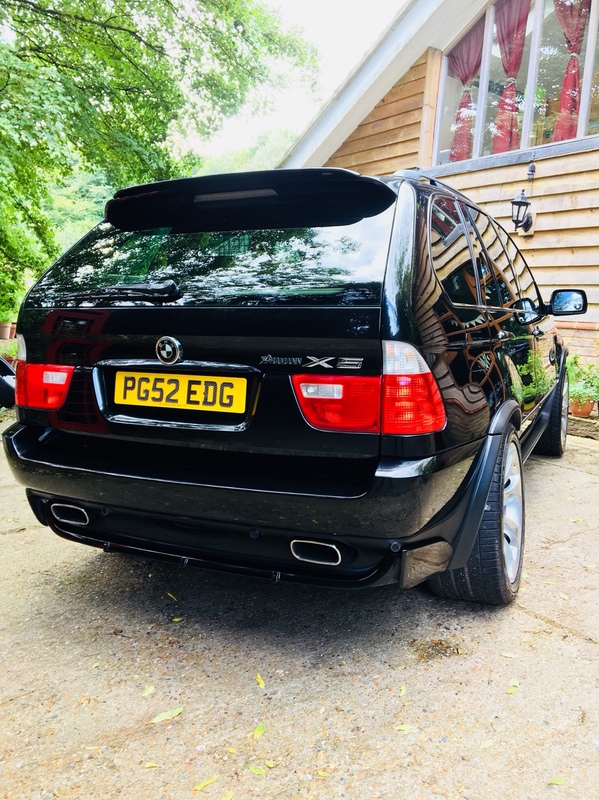 The V8 is a beauty married to a heavily modified exhaust (did I just say heavily modified) and a Tiptronic 6 speed box and Air Ride it is a fun place to be. The result of a mornings hard work. NOMONEYBUTAMERC, alzieboy, Bobby Dazzler and 12 others like this. The flares on those wheelarches are bigger than the ones I wore in the seventies!! Edd1968 and brucemillar like this. 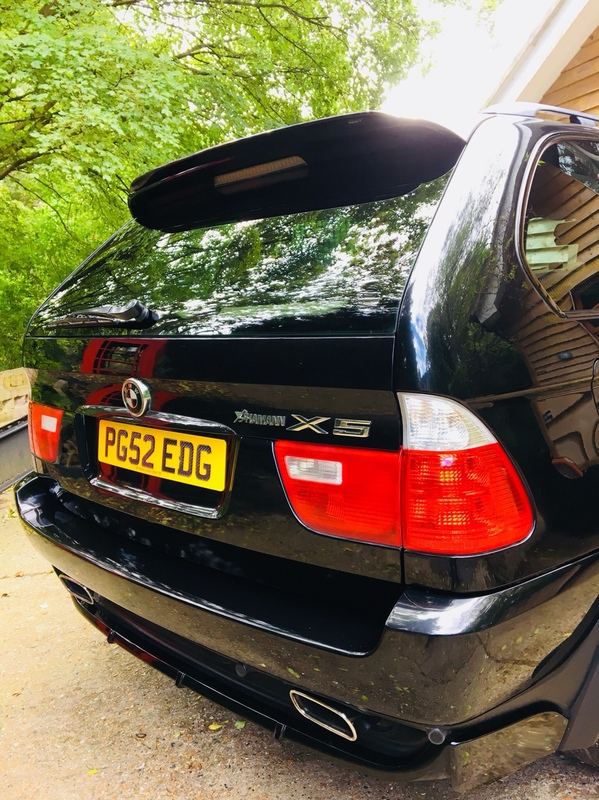 I’ve always liked the first generation X5. Good photographs, have you any showing the car ' after ' your efforts? D-18, brucemillar, DSM10000 and 1 other person like this. 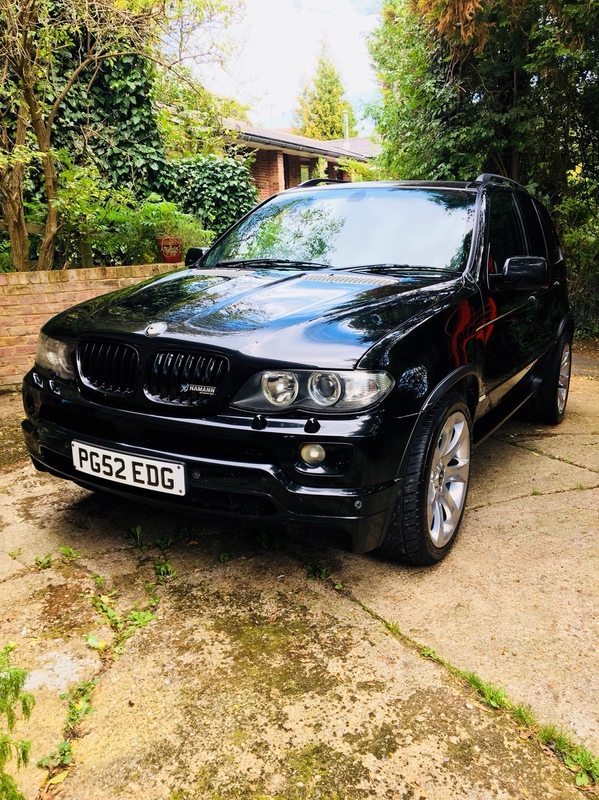 Only you Bruce would show a great load of pictures of your wives X5 ,well it looks great and very well cared for,without doubt the early X5's ,were the best of the lot,apart from a the auto box playing up around 130,000 if it is not looked after they are bullet proof,and of course the V8 is one hell of a engine,pleased to see a new posting from you Bruce,don't let your wife ftten you up too much you need to keep that lean and mean edgy look. My old boss used to have one of them. Hilariously quick for a 2.5 ton 4x4. brucemillar, WOODYTHEWISE and Charles Morgan like this. Gotta love a clean car no matter what make lol.... I hope she bought you Sunday lunch as a reward..
Not sure what’s happening with PM’s? I have had some in the past few days and also sent some. I did see your post but noted Trevor’s response. Not to me. Must do better. That looks like a good first attempt Bruce, but I think you should now get some more practice to really get it right. Can I suggest other forum members pop round for you to give their vehicles the same (or better) treatment? I'm sure that would help you hone your skills. MikeInWimbledon and brucemillar like this. Was that a rusty bolt on the front cross member? Tut tut. Nice work! That is probably the cleanest engine bay i have ever seen outside of a brand new car!! Well I went to BMW to buy replacement headlight bolts (to replace the rusty ones). BMW (this is true) only wanted £17 for the four bolts (and they are not stainless). Callyman and Ted like this. clk320x and brucemillar like this. IIRC he has a spanner or two.